My name is Elena Tanasa and I’ve been working as a driving instructor in England for several years. My students take their driving lessons in a new Vauxhall Corsa with a manual gearbox, a car which blends dynamic design, versatility and driving excitement. The car is renewed each year in order to provide safety and ergonomics. A new model can ease the student’s driving maneuvers and offer comfort for the driver and passengers. If you are interested in finding a driving school in Heretfordshire, around Hatfield, St Alban, or Welwyn Garden City areas, you’ve come to the right place. 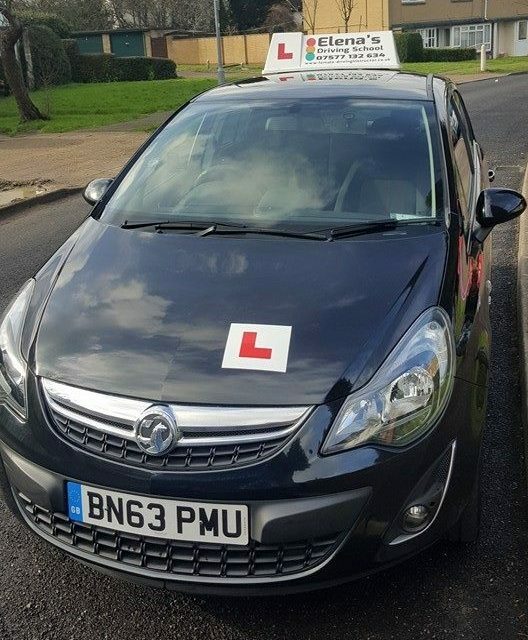 I am a very patient and professional female driving teacher in Hatfield, DSA registered, and therefore you can benefit from great driving lessons that can increase significantly your chances of passing the practical test. Taking driving lessons are essential in order to become a good driver. My mission as a driving teacher is to teach my students how to drive safely and motivate them to leave their inhibitions behind and start believing in their driving skills. If you choose me as your driving teacher you can expect a friendly and reliable female instructor delivering expert tuition. Some people may want to choose a lady driving teacher, not because females are better teachers, but because they feel more comfortable in the presence of a woman. Either way, if you pick me as you teacher, you will benefit from professional advice, comfort and safety. The costs of the driving lessons are found in the pricing section. For more details you can contact me here. 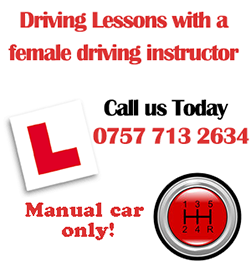 Female driving teacher Elena Tanasa | Manual car only!